In the streets of Minsk, capital of Belarus, the legacy of the Soviet era is still very present. But on the outskirts of the city stands the new face of a technology park on which this country of some 10 million inhabitants, bases the hope of a new economic boom. 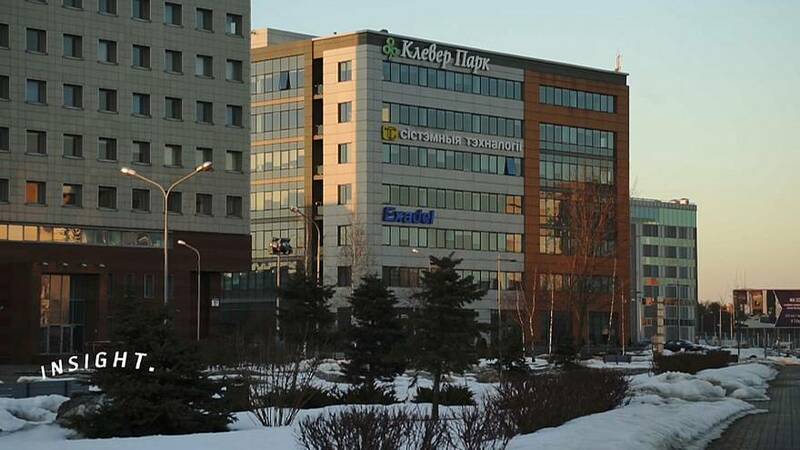 "Is Belarus, the future Silicon Valley of Eastern Europe? This is the ambition of the Belarussian government, says its foreign minister. "In 2005 we have created a high-tech network here and today they export almost 1 billion dollar services abroad, says Vladimir Makei, Foreign Minister of the Republic of Belarus. "And we would like to develop Belarus into a high technology country." Foreign investors represent more than one-third of the 160 or so companies in the sector. Last year, a decree on the development of the digital economy offering considerable tax benefits, opened new perspectives. Another added value of the country, is its human capital, underlines the head of a business information portal. "We have some success stories, for example Viber, has been developed in Belarus, says Vitali Valianiuk, CEO of pro-business. "The competition for talented people in Belarus is currently much less than in Israel, Finland or the Silicon Valley. And overall costs for business is much lower than in Berlin or in Paris ..."
Information technologies also carry the promise of new spaces of freedom. This is the hope of the media community, muzzled by the authoritarian regime of President Lukashenko, says Yuliya Slutskaya, the head of the "Press Club Belarus." "All media are government-funded, state-controlled and highly controlled media, and for 20 years the independent media has been thrown out of the market by various forms of repression, says Slutskaya. "If this sector (IT) develops well, maybe there will be new investors, and maybe the media will find a second wind." Changing the country through innovation is the challenge of "the Imena.mag team." It's an online magazine, but also an NGO, entirely financed by crowdfunding. And its objective is to solve social problems in Belarus neglected by the state. "People are used to reading and seeing that there are a lot of social problems in Belarus, says Ekaterina Siniuk, head of platform IMENAMAG.BY, but they can not do anything about it. "We have emerged to give people a tool that allows them to have a influence, to solve a problem." Child abuse, poverty, medical deficiencies, Imena has already funded several social projects across the country. "Belarus is changing, says Siniuk, "thanks to the new generation coming, thanks to the technologies that are changing the context of any country, and in Belarus, which is at the center of Europe, this context is also changing."